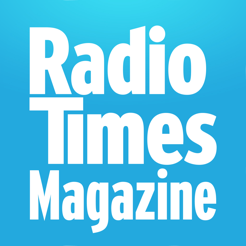 Radio Times magazine – the UK’s favourite guide to TV, film and radio listings is now on newsstand! 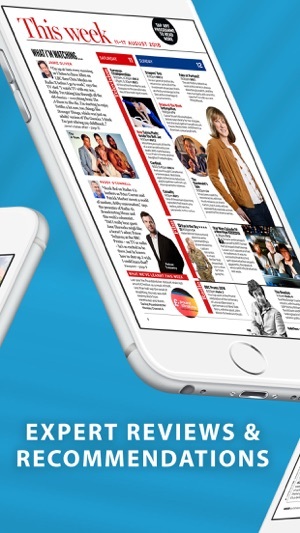 Get the same great content you know and love, from the UK’s biggest selling quality magazine, in enhanced PDF form – tailored for iPad. 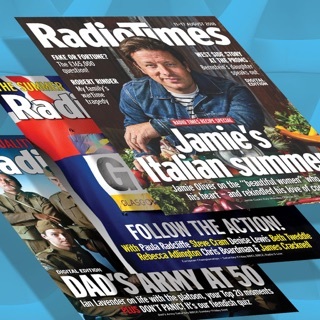 Don’t miss the biggest interviews, expert reviews and recommendations and glorious photo-shoots of the biggest stars in Radio Times. Plus, the best of this week’s Soaps, discover the best on-demand and catch-up TV available for you to watch right now, and the Radio Times expert film team point you in the direction of the top films on TV this week, and out now at the cinema. 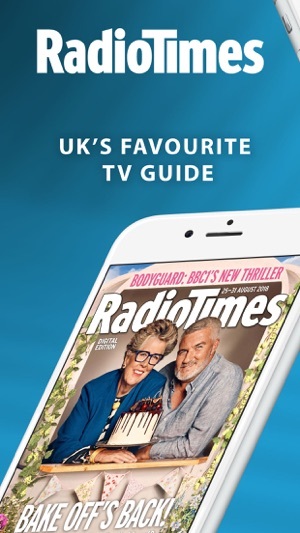 Every week you’ll find the best TV to watch with the best 7 day listings, for TV, radio listings and films on TV, catch up (e.g. on iPlayer) and on demand (e.g. on Netflix). - To mark any feature or programme for future access, just hold down your finger on the screen and follow the prompts to make a note, tagged with a red dot. - Access your tagged content in an instant using the pin icon at the top of the screen. To remove a tag, hold your finger down on the red dot marker and follow the prompts. -> News and Views from broadcasting’s biggest names, best writers and brightest stars. -> Stunning photo-shoots, red carpet reportage and exclusive behind-the-scenes pictures. -> Guides to the best TV, film and radio each day. 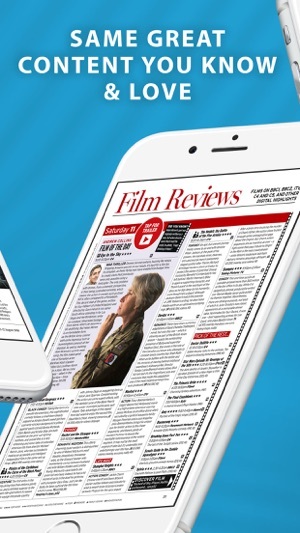 -> Film reviews from the Radio Times’ Film team, including Barry Norman and Andrew Collins. -> The best of iPlayer, Netflix and other catch-up and on-demand services. -> Comprehensive listings so you’ll never miss a show, and with handy links so you can jump to your desired day of the week. It’s great having the magazine to hand in digital format but I have one or two gripes. Firstly it’s not the most intuitive app. If I click on a day to view it goes straight to the first listings page which may be the intention, but I always have to scroll back to see the Critics’ Choices which I always wish to read first. Also if I wish to view the film review section there is not an intuitive, quick way to do this. I have to find a film in the listings and then hope it is a film that has been reviewed. Then I click on the “Review page ...” line which takes me straight to the relevant review page. Great when you get there but it takes some finding! My second gripe is one that comes up infrequently but has come up again in the last couple of days. 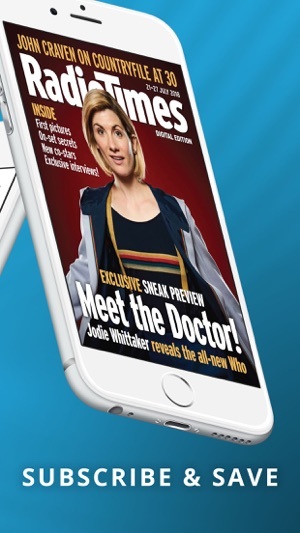 I am viewing the app on my phone (I have to zoom in to read it) because for some reason on the iPad, although I have a current ongoing subscription, it is again asking me to click to BUY the next issue for £1.99 rather than OPEN it as an existing subscriber. Very frustrating! Originally I had direct subscription with Immediate Media and that worked fairly well until renewal time cam around, when Immediate had got themselves in a complete mess. Finally, this was sorted out until renewal time came round again. This time, the problem was never resolved satisfactorily so I switched to the Apple Store subscription, paying by PayPal, after which I've had no further problems. The App itself seems to be reasonably stable now, but you probably need a reasonably good Internet connection and decent wifi to avoid problems. I regularly print out the puzzle page for my wife and that works fine. Only used this for a week or so. I would have liked to have a Search facility to find keywords. Also, if you leave a magazine open then switch to another App, when you return to RT it goes back to the list of Issues and you have to choose the issue you want again. This is on an iPad. I have an Exact Editions magazine that keep the relevant issue live until you shut it down, and has a search button. Perhaps each day of the week for TV and Radio could have a Pin automatically added. Otherwise good readability and page turning is fine. I would have preferred 3.5 stars, but gave it 4.